Prepare for the scare! If you've been to the first four, you know what can happen but this year it's even crazier! Walk the park after dark and experience all that can go bump in the night, see what might be hiding in the trees and feel the terror! We’d like to thank this year’s sponsors in Deak Electric, Myke Foo Media, Candlewood Valley Country Club, Kimberly Clark Corp, Marandola Fuel and Pro-Tech Remodelling LLC, Bad Dreams Brewery, Geron Nursing, Mystery Ink Tattoo and Piercing, Gregory James Gallery, Geary Plumbing and Heating LLC, F&O Carpentry LLC, Zaragosa Restaurant, Throwback Collectibles & More!, Danbury Porsche and Best Buy Discount Tires. Sponsorship makes this event happen, so please, support our sponsors in return. 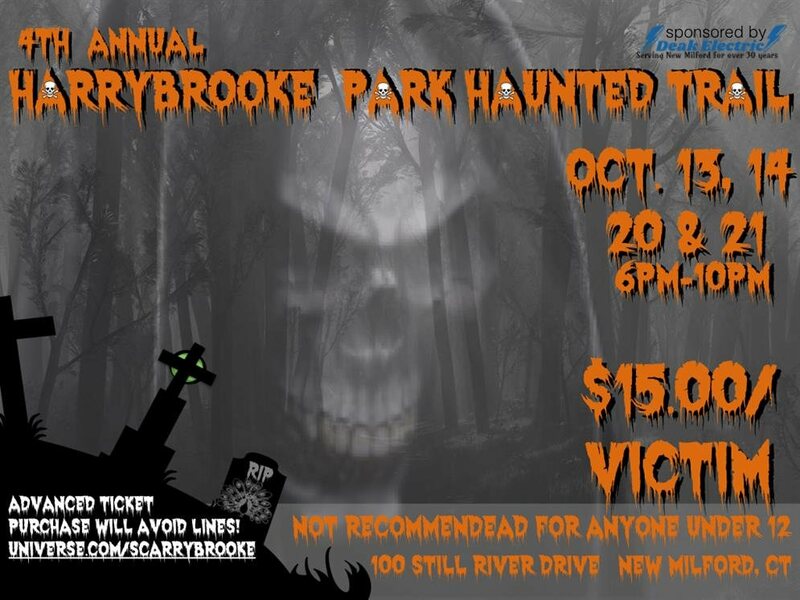 All proceeds of this event will support Harrybrooke Park as well as the New Milford Lions Club, Knights of Columbus, Our Lady of the Lakes Youth Group, New Milford United Methodist Church, The Children's Center, Boy Scout Troop 66, Wildlife Line and the NMHS Grad Party Committee. 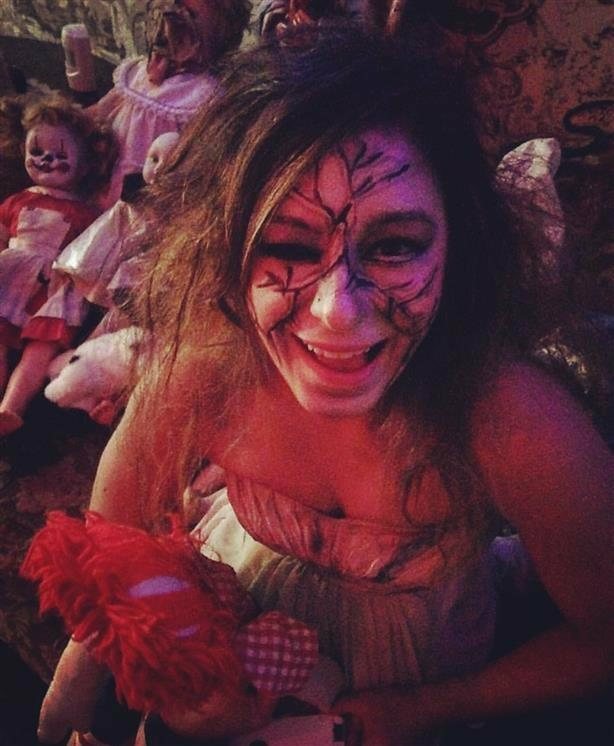 ALL of which are true New Milford area non-profits and ALL have one goal ... to scare you beyond your wildest nightmares!